Credit Karma is one of the the few tax filing software services that truly delivers free tax filing for Federal and State taxes. The tax filing service isn’t just a bare bones filing option. Filers get a free audit defense guarantee which is a huge value add. But it's a relative newcomer in the online tax filing space, and it had some learning curves in the first two years. So should you use Credit Karma Tax for filing your 2019 tax return? In a lot of cases, the answer is YES! Here’s what you need to know about the service. Who Should Use Credit Karma Tax In 2019? Three years ago, Credit Karma introduced Federal and State tax filing software. Unfortunately, the free software came with glitches and issues with customer service which were only revealed after Credit Karma completed it’s rollout. In 2018, some of the glitches were fixed, but others popped up which led to a poor recommendation last year. However, in 2019, Credit Karma has beefed up its customer service, added usability to it’s platform, increased its help features, and is still completely free. With these additions in place, we’re again recommending Credit Karma Tax software. However, we're paying attention to user feedback closely to see how the improvements pan out over tax season. Credit Karma Tax uses a self-guided navigation which means that users have to read through different sections to find the relevant areas to enter. However, once a user selects “Start” from the menu, Credit Karma judiciously uses questions to help users accurately enter their information. As far as self-guided navigation goes, Credit Karma Tax offers an excellent experience. In particular, the search function at the bottom of the Federal filing page made it easy to find topics (such as estimated taxes) that I didn’t find right off the bat. If you’ve got a particularly difficult tax filing situation, you may need to opt for a robust Q&A navigation software (such as H&R Block or TurboTax), but for most others (including many new filers), Credit Karma’s self guided navigation will work fine. Overall, Credit Karma Tax proved to be easy to use for the scenarios it supports. You can easily import a W-2 form, and it’s uncluttered user interface makes it easy to find what you need. The one group that may not like Credit Karma’s interface are active traders who may need to enter dozens or hundreds of short term trades by hand. Likewise, real estate investors with more than a few properties may want to opt for TurboTax or another software that allows users to import information from an accounting service. Aside from those groups, most users should find Credit Karma Tax is easy to use. It has plenty of built-in information bubbles that guide users to enter the information in the appropriate screen. Credit Karma has also done a great job of “demystifying” some of the tax jargon, especially the jargon that surrounds self-employment. This is a huge win for people who earn just a few hundred dollars each year from self-employed side hustles. If you struggle with the software service, Credit Karma has dedicated support staff to answer your questions. As always, it may be worthwhile to file earlier in the season since the days approaching mid-April tend to be very busy. In addition to the information bubbles (which include “mini” knowledge articles), Credit Karma has a dedicated Tax support center. Most of the articles in this area explain the Credit Karma software product, but they also include articles that explain important topics like the information you need to file your Schedule C.
In terms of free tax software, you’re unlikely to find better information than that offered by Credit Karma. Credit Karma Tax is completely free for state and Federal filing. They also have a guarantee this year on their product. If you receive a larger federal tax refund amount or owe less in federal taxes using the same tax return information when filing an amended return through another online tax preparation service, then you may be eligible to receive the difference in the refund or tax amount owed up to $100 (minimum $25) in the form of a gift card from Credit Karma Tax. It's not a lot, but should add some peace of mind to some filers. Credit Karma Tax is free, and the software is reasonably easy to use. There are a few scenarios that Credit Karma doesn’t support (notably, it does not support you if you lived in more than one state in 2018). 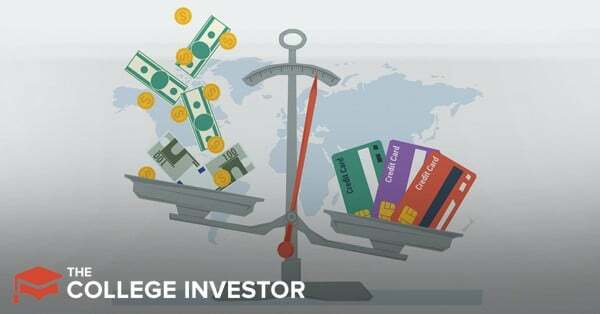 But other than the unsupported filers, active traders, and perhaps real estate investors, Credit Karma is a great option in 2019. It’s certainly the best completely free option, and it rivals some of the top software. ** Editors Note: due to the high volume of comments and concerns about this software, we left last year's comments available for readers to see. Please check the dates on comments before making any assumptions. We look at Credit Karma Tax Software, which promises free tax filing. It has built out a ton of improvements this past year. Thanks Robert. I love Credit Karma. As a small business owner who has a huge investment that didn’t pan out and not much income for the next 3 years, will this service help me to figure out how to carry the investment forward for several years so that I can deduct the expenses of my business against future income? It’s hard to know – since this was their initial year, I don’t know how their tracking will be for the future. I am having problems getting anyone from Credit Karma Tax to respond to two problems. One of them is they say my return is filed and accepted by IRS ….and the IRS says no. I have sent emails and sent support requests though their support portal. No answers. I am now worried that this “fledgling” tax preparing service has problems. How long has it been since you filed versus checking your status on WMR? My $400 refund using Tax Karma from NY state was denied and a complete explanation was sent with the state paper. Scanning that and sending it into the taxsupport@creditkarma.com meant getting canned, scripted replies like. “you got married from last year” etc. Nobody home and I am out $400 using they program while I am now on the mailing/email for more of they crappy product. This sounds like a great option for those just starting out in filing taxes! I would give it a try, but my taxes are a tad more complicated this year. Thanks for sharing! This will be my first year filing taxes. Would this be a good tool for a complete novice? Yes, it is great for beginners that aren’t self employed or who don’t own rental properties. I accidentally started info into a 1099-misc. Now can’t delete it or file taxes completely because of an error. I emailed 3days ago. This was my first year filing myself and there’s not much support if you have a question. I typed my daughters ssn wrong and it says to go back through and edit it , but I can’t figure out how. The site is a little hard to retrack. It should have something to click on on to go to correct that can change it easier. If you get the answer to this, let me know, I did the very same thing. You can do it, if you go to the home screen , where you see the person’s names. Click edit and go next, next, you will see a place you can do it. What HOME screen? I dont see anyone’s names at all. As a CPA and retired tax preparer, this is NOT a good option for beginners unless they have a W-2 and interest and that is it! Anything more and you will run into bugs and problems. For example, my HSA contributions/distributions will not carryforward properly to the 8889. I know many employees have this, so unless they are familiar with proper reporting, they are going to get taxed due to the bug in the software! I keep emailing them about this, but get canned responses! There’s also a bug on calculating depreciation, I reported this and got the same canned responses. Another issue cropped up when my tax transcript was pulled for a mortgage this year. Apparently my schedule E was not submitted to the IRS so now I’m unable to use my rental income on the mortgage application as they cannot verify the income with my IRS transcript. I am trying to input the payer’s TIN# on the 1099-MISC form and it won’t accept it. I am the recipient not the payer and it clearly asks for the payer’s TIN in this specific box. It accepts all my information just fine, though. I can’t even move on because it keeps shooting back that it will not accept it. I know the payer and I reached out to him, and it is, in fact, listed correctly on my paper 1099 copy. It also accepted the payer’s TIN# in another program, hence, I know it is correct, so why won’t CK program recognize it??? Live chat was a waste of time. All she could tell me was to try it in a different browser, which I did, and if that didn’t work then to talk to a tax preparer professional for help!? I don’t need one of those and I never have! I have a simple filing this year, just as every year, and for it to not even recognize the payer’s TIN# is unsettling and disappointing. What’s the deal Credit Karma? Can you file returns from more than one state (live in one state but have income from two states)? We didn’t attempt that, but I didn’t see the option intuitively. The IRS doesn’t start processing returns until January 29, 2018. What happens is Credit Karma keeps your returns in their system, and then will transmit them to the IRS when they allow it. At that point, you should receive a notification of them being accepted. Thank you for your reviews. After e-filing my tax returns today, I have read some upsetting reviews about Credit Karma. I had a simple tax return from a pension plan and Social Security. Should I be worried? I couldn’t tell you – only you can know if everything was correct on your tax return. Let us know if it worked out okay when you get your refund. I received an email from Credit Karma on 1-23-18 that my tax return was submitted to the IRS yet I still have not received an an email it was accepted and the IRS has no record of it. Everyone I have talked to that has used different software has had their return accepted already. Can I resubmit it using another software? I wouldn’t. Most likely, Credit Karma is holding your return until the IRS opens eFiling. They can’t file until 1/29 (tomorrow). Just wait a bit. I would contact them if you don’t see anything by Monday. It’s not intuitive, but CreditKarma doesn’t mention limits on State filing. Usually, you just have to do the state filing process multiple times. All the other tax programs ask, “Do you need to file another state return?” and you repeat your process. The big question is whether CreditKarma does the math right when you file for multiple states. I’m guessing it will, but I can’t say for sure. Right now, CreditKarma doesn’t have every state ready right now, so I can’t test my theory. Just received a response from Credit Karma- You cannot file two state forms this year. They aim to have that feature completed next year. I just started to do my taxes with Credit Karma. As a Tax Act customer for several years I decided to do a dry run on each to compare numbers. CA was just as simple to motivate through as TA and the numbers came out the same. CA did stop me in the middle of the state questions and asked me to come back after Idaho was able to accept e-file. I assume that when I am able to do this that it will indeed be free. If so I will save $25 and that will mean a big thumbs up???? For Credit Karma Tax from me. This is a follow up one year later. Yes I was able to file my taxes last year for free, federal and state. This year I am having a problem. I am doing the same side by side comparison as last year but this year credit karma has a bug that is charging me a tax on contributions that I made to my HSA. Customer help did respond to my request but did not solve the problem. I have decided to dump the free credit karma software this year and use taxact. How is that a bug? HSA contributions are taxable in CA. I just recently went through the process and it is very user friendly! I agree with the article in that it is a little weird that they use your info to sign you up for more cc’s.. Because I first read this review, then attempted the process, I wasn’t allowed to actually file, as the IRS does not accept anything until after the 23rd of Jan. The site did save all of my information which was nice. Thank you for the review/article. I found this quite helpful! I will update my results to let you know the actually timeframe of my tax return, if applicable. As of 1/24/16 Credit Karma is saying Virginia is not yet accepting tax returns. This is false and I’ve read others reporting the same for other states. No quick response from Customer Support. Same issue with Michigan for me. Has your issue been resolved yet? I’m debating using another service if this is not resolved soon. I went through the process nice and easy. Everything was great–until I input my bank account info for direct deposit. Says my account number is invalid. I have a ten digit account number. Credit Karma is looking for nine. Generally leaving off one of the zeros will work. But not here. I tried inputting it every way possible. Invalid every time. Soooo, unfortunately, I will have to file elsewhere. Not willing to wait three days for help with this. If this is fixed for next year, I’ll give it a try again. Seems like either you or the software is confusing the account # with the routing #. RTNs are 9 digits, ACCT#s are unrestricted. TurboTax offers a service that covers you in the event that you run into issues with the IRS as a result of an error on their part. I looked through Credit Karma’s website and can’t see if this is something that they offer. Do you have any insight on this? That doesn’t appear to be something that is offered. Herein lies my problem with Credit Karma tax. Due to several glitches I have found in the software, there are going to be many taxpayers who have underpaid – the ones the IRS goes after and the ones who overpaid – these people will probably just be excited to get money back from the IRS some time WAY in the future. I wish there was a way to urge people who aren’t familiar with tax prep to double check their numbers manually or go elsewhere. The product needs a better quality control! Very True! I received a mail from CreditKarma saying there was a miscalculation in the New Jersey Property Tax Credit that I filed through their software and that I need to file an amendment to receive a larger refund. Im not aware on where it went wrong or how to proceed. Maybe i will let the state keep the money!!??!! I used the CK software for both my fiancé’s taxes and my own. I found it very simple and easy to use. I filed our federal returns on 1/23 and had to come back a couple of days later to file for the California returns. I opted out of sharing my information. I’ve used a few different tax programs in the past, and I’m totally sold on CK. I did my taxes with Credit Karma a couple of nights ago and it was very easy and a quick process. Unfortunately, I entered one number wrong on my husband’s SSN so it was rejected by the IRS. This wouldn’t be a problem as I should just be able to go back in and fix it, which is what Credit Karma indicates I should do. However, when I go back into the return, I can’t get back to the personal information section to change the SSN. It goes from the Welcome screen directly to entering your W2 info. I can’t find how to get back to the personal info anywhere and there is no help topic on this. Has anyone come across a situation where they’ve needed to go back in and correct a piece of personal info and if so, were you able to? I also emailed for help and am not happy they may take three or more days to reply for something that shouldn’t even need to be asked in the first place. Thanks for any help. It’s in the upper right corner as soon as you login. me too. i did the same thing i will never use them again. my taxs are messed up now i filled them on the 31st and still no response at all on them very upset and unhappy should have used turbo tax like always. i missed a – in my last name and that was it and it will be rejected because of it. I too am regretting not using turbo tax this year. My form says I filed single yet I was rejected by the irs for not entering a status. Credit Karma will not let me fix this. Same here! The wife mixed up two numbers in her SSN… and now it seems like my return is STUCK! I immediately reached out for support and haven’t heard back. I just filed my tax return this evening with Credit Karma and I’m so happy! I’ve been a CK member for years and immediately wanted to try their free tax filing service. It was very user friendly and I have no complaints. The entire process didn’t take long at all as I had all my docs ready. I was able to itemize as usual and got a very nice refund. More than what I got last year and paid $174 to file thru my tax guy. My return was accepted by the IRS right away so now I just have to see how long it takes for direct deposit into my bank account. Will update once received. Thanks Credit Karma! I currently use Turbo Tax, but decided to try Credit Karma this year to save myself the $106.97 that Turbo Tax charges..However, upon entering my info, I notice that Credit Karma miscalculated my dependent care credit amount..and Turbo Tax calculated it a different way( based on the exact IRS guidelines.. I checked on the IRS website and spent an hour on the phone with a tax professional). I would really love to use them,because its free and gave me $200 more than Turbo Tax, but I dont want to risk my refund being offset,or rejected.. I was beavering away on my return. I have a home office. The depreciation calculated gets ADDED to income, not subtracted. So, so much for CK tax this year. Thanks for a detailed review, with screenshots to boot! Well, I’ve been using TaxAct for years. Decided to try CK last Friday. Seemed pretty decent, and even received a confirmation from IRS (Federal) they received my efiled return. However, since then, I’ve not been able to access CK Tax. I can still access my credit info, so I know my credentials are proper. I sent CK Tax an email, but have not heard back, and still cannot access the site. Also, when I go to the “Where’s my refund” IRS page, it now says they have no info on it. WTH? The CK Tax error reads: “Well, this is awkward. It looks like something went wrong. We’re already working hard to fix it, so check back in a bit.” So, now I am concerned… And, absolutely no acknowledgements of issues on their end. I am impressed by the aesthetics of CK Tax but not the functionality. On my federal returns I accidentally added my state tax refund — from last year’s taxes that I received this year — onto the “Other Income” category rather than the 1099-G spot (resulting in the amount going on the incorrect line). So I added it to the correct spot, and then went to remove it from “Other Income”. Apparently, there is no way to do this. No remove button. I contacted support and clearly referenced the “Other Income” page, took a screenshot of it, with the line I wanted to remove, and an absence the “remove” button… they asked if I wanted my return (as a whole) to be deleted. Either they can’t read, didn’t read my question, or are suggesting the only solution which is to not use their product since it doesn’t work. And no, you can’t just delete the text on that line and change the amount to zero, once you log out and back in, it’ll reappear. So any users thinking about CK Tax, if you don’t have “Other Income,” make sure you don’t accidentally enter any “Other Income,” or it’ll forever be there, preventing you from ever being able to use the product as you probably don’t want to file knowingly incorrect returns. I wonder if they are overwhelmed with registration since I have not receive my validation code via text after multiple tries. Might be back to TaxAct for me. I files my Federal taxes with no problem. I am stilling waiting to be able to file my state taxes. After 2 emails I’ve been told I would be able to file by the end of this week. The same thing I was told last week. It is getting a bit frustrated in not being able to file my state tax. I’m having the same issue.. I’m have crazy anxiety, whether or not I should amend my federal and start over on turbo tax… advice?? The advice is to wait. About 15 states still aren’t ready to allow eFile returns yet. It’s not just a Credit Karma thing. You could spend your time starting over to have the same thing happen elsewhere. Other companies also don’t tell you. You might think you filed, but the software company simply keeps your return in a queue and sends it a week later when it’s open to. We do have a couple states that are yet to be available, but we’re hoping to get them up and running soon! Thanks! DO NOT USE THEM FOR YOUR TAXES!!! I took a chance and used them and my State taxes are stuck in limbo. I emailed them over 10 times requesting that they call me or efile my tax returns and no one responded. The federal got filed, but the state didn’t. I even confirmed with the State and they said nothing has been submitted. I put all of this information in the email and they kept sending an automated reply saying they will work on it. I had to actually print out a paper copy and mail it the old antiquated way because Turbo Tax couldn’t file a partial. They have to file the Federal and State as one. They are horrible with customer service. Don’t use them!!! I have the same problem too. So what did you do? I continue to email them, but they continue to respond with an automated response saying that they are working on it. I have emailed all of the local news channels requesting that they do a little excerpt on Credit Karma and this issue to at least help notify people before they choose to use them and possibly have the same issue. I even advised Credit Karma in the email that I’m going to continue to notify the local news about their customer service and this issue with State and they “simply don’t care”. I didn’t have any problems filing my taxes with CreditKarm. The prices went perfectly, but then again my taxes are the extremely simple 1040ez kind. If you have a 1040EZ, you’ll probably have a better experience using H&R Block or TurboTax – both would still be free. Was your return accepted yet? That’s what mine says…submitted, but not yet accepted. I can’t get anyone in customer service to respond. If you contact state they will say they haven’t received them. What state are you in? CA, so what you gonna do with your state tax now? I am also having the same situation. Did you got any reply? I’m in Arizona. I just mailed mine in because you can’t e-file through another company. Federal and State must be submitted jointly so that the information can be confirmed off of Federal. I already made the mistake of trying to file it through Turbo Tax after I was having this issue and lost $79 that route. It was rejected because the IRS thinks that you are trying to file multiple returns. I called State and they indicated that it will take 12 weeks since I mailed it in. Major hassle. I’m sooo annoyed with Credit Karma. I too am in az but it allowed me to submit my state when I filed on 01/28. Now I get an rejected message because another return was submitted with my ssn. I called the state and they said this is a glitch with credit karma. I have used Credit Karma for years on the credit side and used it for my taxes this year. I have filed my taxes by myself before but have been filing through a tax preparer for the last 10 years due to a many diverse issues causing my taxes to be more complicated than typical over those years. However, having more simplified returns nowdays, I paid one last time last year $350, but decided to give this a go. I used TurboTax before, and they were fine, so I used them again this year to double check Credit Karma as I went along. Everything was perfect, and where TurboTax wanted to charge me to upgrade due to extra for extra forms, Credit Karma did not and the refunds for both the Federal and State came out exactly the same as TurboTax. So I deleted my TurboTax and saved on both my preparers fees and the upgraded TurboTax charges. Fantastic as usual for Credit Karma!!!! WooHoo!!! Can’t wait for my refund to hit!!!! As I finished this, I realize it sounds like a fake post, it’s not. And I understand that some of you have posted issues, I am sure there may be some initial glitches, but I ran into that with TurboTax way back when they started out too!! I had the same issue – every tax program out there wanted me to upgrade due to a $125.00 employer paid HSA account except CK. Taxes were done on 2/4 – both returns have been accepted by Fed and State. Very impressed! I notice a lot of posts indicate tax returns accepted. This DOES not mean all is ok, it means format and generic requirements have been met. Later, they will verify the W2 and various 1099’s they receive from providers agree with what you submitted. My experience is if there is a problem they will generally get back to you within 18 months, state may take longer. I used CK last year, no problems but my return is fairly simple. Sir, I can assure you that this is in no way a glitch. Good for you that you have had no issues. I don’t know what state you are in but apparently you and the other people who didn’t have an issue are in states that Credit Karma actually was able to file in. For me, this has been a serious problem since 1/28/17. Concerned that I have waited four days and not getting a response from CK tax. Is anyone getting timely responses from Customer Service? No, I am waiting for days with no response. Mine was a 3 day turnaround, but I used the service immediately. One friend (also NC) got a response in 2 days. Not sure how they are queuing. My state tax refund just accepted for almost a week of waiting. I’m live in CA but it says “Your NC tax return has been accepted!” ???? Why NC? I have submitted my federal and CA state tax returns via credit karma on 01/29/2017 and federal returns was accepted immediately after submission but ca state tax returns has not yet accepted. It’s almost six days since the submission. Is anyone has gone through this situation? Please share your experience or thoughts. Have tried to reach creditkarma (support@creditkarma.com) but getting an automatic reply as always. I filed my federal tax return on 2 2 2017 however I have yet to see its accepted. Has anyone come into this issue? Did everyone get IRS to accept a return right after submitting it? I have the same issue. I emailed customer service but no response. Frustrating! I would suggest NOT using Credit Karma if you are in a hurry for your refund! I usually get a response right away that my taxes are accepted. I did get that for my federal but when I logged into CK it still said not accepted??? I finally was able to file my state taxes and it looks to me like they may have e-filed my federal taxes a second time. Not positive but it’s showing the same date for both of them when they were done two days apart. No updates on the state even accepting it yet. CK doesn’t have a phone # to call only an email and the response time says a couple days and that is ridiculous. I would rather have paid to file my taxes and received them back quickly rather than file for free and wait in limbo for days and days . Filed on 1/27/17. Fed got accepted same day and state on 2/3/17. I filed my federal and state return on Jan 29, and they have still not been accepted by either the Federal or my state. Any ideas why? I do have earned income credit, and I am wondering if this is a factor in being accepted, although I would think that they entities could go ahead and accept the returns and then if they truly are going to wait until a certain date to disburse refunds with EIC amounts, they would have them on file to begin refunding. I emailed Credit Karma and I am still waiting for a response. I have never waited this long for a return to be accepted with any tax software I have used in the past, and I have used TaxAct, TurboTax, H&R Block, and even my states free file for the state. I also filed my federal and state return on Jan. 29, and I’m still waiting to be accepted by both federal and state. Have you received a response? I would NOT recommend using Credit Karma. I have a slew of people who have completed the process and the efilings are not accepted as of yet. One from 1/28, two from 1/31 and mine from 2/1. For 8 years I have used TurboTax but tired of their fees increasing and used CK in good faith. I always got an acceptance from the efiling within hours and never over 24 hours. CK also says it’s response time is 3 days, that is horrible during tax season and for an internet company. Now I’m trying to figure out do I try filing another way or sit on this for another week? How long does someone wait for their efiling to just be ACCEPTED? Read all of my posts under Candice above….don’t try and file with another company. See what happened to me. I have used Turbo Tax for 10 years but wanted to try CK since it is free. I compared the numbers I got to Turbo Tax and they matched up. I filed on 1/29. My federal was accepted right away, but my state took longer. I was a bit concerned (b/c w/ Turbo Tax state it is usually accepted within 2 days) so on 2/2 I sent an e-mail to CK. I got an automated response right away. Someone e-mailed me the next day and said basically everything is fine on their end, thanks for your patience. Within 12 hours I got a notification saying my state was accepted. And now when I check my status of my federal on the IRS website it says it will be deposited in my account by the 8th and the State website now says accepted etc… I would use CK if you have a basic return. And was a bit concerned for a second b/c of what I have read about others’ issues but overall I am happily pleased. Just a couple questions Mr. Farrington. Do they charge you to file, federal or state? Can you itemize medical, homestead, first home purchase, etc, or is it just basic 1040EZ? Thank you for your time. No charge to file anything. I already use Credit Karma for checking up on my credit scores so I figured I would try out the Tax filing service. I have been using TurboTax for ages and I was slightly skeptical of using a new service. So I figured I would compare CK Tax to TurboTax. I started the process with CK and it guided me with a very nice sleek interface. I input all of my info and it showed that I should be receiving a Federal and State refund this yr. I was slightly concerned that CK Tax didn’t compute everything correctly based on past yrs filling. The refund amount for Federal was about $2k less than what is typical from my filling in the past and the State info was very close. So I decided to run the same input with TurboTaxes software. The refund amount for shown tallied up from TurboTax for the Federal portion was about $1550 higher than CK’s numbers, but the State refund info was spot on. This is a little concerning. I did notice that CK never asked me much about my dependents and I believe it missed the Child tax credit. I’m going to give it another shot and start from scratch. But so far with the disparity between the Federal refund amount calculated from CK vs TurboTax is a big concern. If I didn’t do due diligence and just filled I would have missed out on a larger amount of money due back to me. One big con is not being able to import data fro ma previous return like you can do in other software. Overall I really like the CK interface. Very pleasing to the eye. Seemed very streamlined. Would really like for it to become a go to product like TurboTax has for me. Filed mine on 1/29/17 in PA, both federal and state show submitted, but neither have been accepted. Emailed support twice now and received a reply both times about 24 hours later saying they are looking into this. Anyone know what I should do? Should I file elsewhere, submit by mail, etc? I live in Georgia and used Credit Karma to file my taxes. But they cannot do the state currently, evidently they are not set up for Georgia taxes. Its very frustrating. I would have used FreeTax USA again if I had known this ahead of time. Now I am stuck with federal accepted and state not filed! I notice in the “Wage and Income”, it doesn’t ask me for my 1099-G that shows my previous year “state income tax return”. I am also using H&R Block so I can compare both programs and in H&RBlock it asks me to put that in…is there another place that CKarma to put this 1099-G? Confused! DO NOT USE BOTHER IF YOU SOLD STOCKS WHERE THE BASIS WAS NOT REPORTED TO THE IRS. CK “SAYS” they support Form 8949 and Schedule D, but there is nowhere in their interview where they allow you to state whether the basis of the stock was reported to the IRS. All they did was add a disclaimer on their Capital Gains worksheet that says “Long-term items entered (held longer than a year) will be reported as “Box D checked” on your Form 8949 and Schedule D.” That does not “resolve” my issue – it just means that I can’t use CK to do my taxes. Interesting that I ran into exactly this issue, since I have transactions where the cost basis was not reported, and CK assumes it is. Although that makes no difference in the actual tax due, it would be a discrepancy in reporting that might poke a tiger in the eye at the IRS. They also say that reporting ‘VARIOUS’ as acquisition dates defaults to ‘basis reported’ regardless of whether that’s true or not. I went round about a few support requests to CK, and the eventual reply was, as you stated, they don’t support that this year but I should check back next tax season. I’ve run into other bugs and discrepancies that tell me CK is not quite ready for prime-time. And if you DO use it, VERY carefully check the results, especially to prior year returns. I recently did mine through CKtax. If the cost basis was not reported(e.g. RSUs) then you can still add the stocks to the list, only you’ll have to calculate and add the “cost basis” yourself. Which involves looking up the old transactions to see what $$ you actually bought/received the securities for. I found a BUG in my State Return and reported it. “Unfortunately, we will not offer that service in this year. I ran my Federal and Georgia returns through TaxAct and Credit Karma Tax. The Fed return was one dollar off which was due to rounding. However, the GA return was $130 off because they calculated my tax from the Married filing separate return column instead of the Married filing joint column. They also did not allocate any INT or DIV credit to my wife to reduce our GA income (we are both over 65). I could make it work by telling the Credit Karma program that all of the 1099 INT and DIV income should be allocated 100% to her. I emailed them and told them what the problem was and got a quick response but they basically blew me off. Use the GA return at your own risk. I would not recommend ck tax because my fed and state got accepted more than 1 week apart. If I didn’t email them asking to submit my state tax I would still be waiting. The state made an adjustment, now I’m getting less than expected. I love ck for my credit score not taxes. I have used TurboTax for about 6-7 years now, so I filled out all my information in that and then also used Credit Karma to compare. Credit Karma missed the (new?) 1099-G while going through the questions, but I was able to find it by digging through the “manual” section. Other than that, I got the exact same results as TurboTax, so I went ahead and filed. My federal was accepted within minutes and state was accepted a few hours later. So far, so good. DO NOT USE THIS SERVICE. They altered information on my 1040 after I filed, resulting in incorrect filing. I provided filing and altered pdfs for documentation, and they responded, “These PDFs do not affect the return data we send to the IRS or state tax agencies.” Apparently they file whatever information they want, and not the accurate information provided. I filed both mine as well as my son’s federal and state and received the same error message. Let’s go back through your forms to fix these errors. Then, we’ll re-submit your return to the IRS. Form W-2 Line B EmployerEIN must match data in the eFile database. I have no idea what to do now as the #’s I submitter are correct. I tried credit karma tax and it was pretty easy to use. However, i wanted to know what do i do if i have a 1099-SA to input ? Did not see an option for it. Also, is there an option to Amend return by filing 1040X after filing taxes via credit karma ? Does Credit karma help with 1040X ? The 1099-SA can be entered under Deductions and the Medical tab. There are separate areas to enter 1099-SA as well as Medical and/or dental expenses. Be sure to enter the expenses and they should match the distribution amount, or it will assume you need to pay taxes on any distributions. Good Luck. I would like to share my experience with Credit Karma after seeing these reviews. I used to have my tax filing with H&R block only so far and this year also I scheduled an appointment with them and i cancelled the appointment after i came to know that they are going to charge $300 fee because i have a new born tax credit of $1000 this year. Through TV add I came to know that Credit Karma is offering a free tax filing and i already have an account with credit karma, and decided to give a try this year and Filed the taxes through credit karma software on Feb 18th. I never thought tax filing is that much easy after i used their software. WARNING: if you are itemizing and choose to deduct your state/local sales tax rather than your state/local income tax, be careful. (This is mostly only relevant to people who live in states that do not have an income tax. People in states with an income tax will usually be better off electing to deduct their state income tax). The IRS allows you to either (1) use your actual sales taxes (as documented by keeping receipts) OR (2) use a table based approach where you lookup a spending amount by income level, and then apply your state/local rate to get an imputed amount of sales tax to deduct. Credit Karma Tax does not know about option (2). It simply gives you a line to enter the amount of tax and tells you to add up your receipts. If you have not kept receipts and want to use the table method there is no mention of that. You CAN use the table method with Credit Karma, but you’ll have to do the calculation yourself. The IRS site has a calculator that can do it for you. Just get the number there and then enter it into Credit Karma as if you were using the “add up receipts” method. I am currently experiencing a problem with CK Tax. I filed my 2016 taxes on February and a week after the website provided me the amounts for my state and federal return, they were changed. The original amounts were drastically reduced even when the federal return stated it was accepted with the original amount. I submitted a concern to CK and they provided me with CANNED responses and one of them suggested the IRS changed the tax forms. A week after this ordeal began I received my federal return for the original amount; however, CK Tax reps continued to provide evasive suggestions and solutions, closing every case after their email responses. Today I spoke to the IRS and they stated they do not change tax forms, they either accept or reject them. They also confirmed my 2016 tax return was accepted and refund issued with no discrepancies noted. I requested a transcript to compare with the changes CK Tax have in their system. It’s been about a month since I started dealing with this and no concrete answer has been provided by CK Tax, and my state tax return has not been processed because of the change. I hope someone fixes this glitch and provide true customer service, even if it’s free. If a company offers something, they should be able to stand behind it. You should check out their BBB rating. Well, they screwed up my federal return and made me file an amended return for state for no reason. When I asked about what really was happening they referred me to their TOS where they claim that they are not responsible. There are much better free options. The effort I had to put in it so far is well above the TurboTax price. How do you access “Tax Form View” ? I wonder if this feature has been removed? I Filled all the Details For 2016 Individual Tax return in Credit karma and the Status shows as Accepted For both Federal and State. But there is no Status i can see in IRS and State site. My Q: Are they really Filing Taxes? or only taking information From Customer For other purpose. Am in a complete dilemma whether to File the Tax return again or not, as there is no confirmation From IRS and State. I just e-filed, I think. I entered everything necessary and hit submit, but I did not see any verification that it was officially filed. Is this normal? How can I check to make sure? Maybe, but the IRS is the definitive answer, not the tax software. I found the software to be basically unusable due to the very short time allowed before it logs you out due to inactivity. I don’t know how many times I’ve had to re-enter the same information due to being logged out while I look up a figure on another tab or form. It’s very frustrating, and I’m ready to just punt and find another package. Free is good, but it’s not worth the hassle at this point. When I was still entertaining using CK, I found that short timeout to be irritating too, as you said by the time you get some more data, or even answer the phone, you are timed out, and in addition it seemed to take 2 logins for me to get back. Yeah, I understand that an online service needs SOME timeout for security, but I’m at home, not so worried that I’ll die and a burglar will break in and finish my tax return for me, so at least let me set my own timeout. That’s one thing I much prefer about downloadable programs, no timeouts or internet dependence, but I can’t find anything free or cheap anymore. I wish CK good fortune, but at this point it simply has too many bugs to be considered more than a beta product. Next year, we’ll see. CK tax program is worthless for many seniors. If you are over 70.5 years old, you must begin RMDs (Required Minimum Distributions) from your traditional IRAs. RMDs are reported on Form 1040 (lines 15a, 15b). 15a is the RMD amount; 15b is the taxable RMD amount. If you direct your investment company to send part of the RMD to your church, that part is not taxable–you save taxes by making a single annual contribution rather than weekly or monthly. Credit Karma Tax cannot deal with this. It puts the RMD total on both lines 15a and 15b. Thus, you pay taxes on your RMD part that goes direct to the church. After 3 emails, CK TAx finally admitted that their program can’t handle this situation. I guess they figure most folks won’t notice the lack of this feature and overpay the federal income tax. Sad! This is not a great product for college students. It doesn’t support the 1098-t, so I had to manually subtract my grants and scholarships from my qualified educational expenses because Credit Karma Tax wanted to give me an undeserved $900 American Opportunity Tax Credit. This would have been helpful, but would have also probably led to an audit! I have an error in my tax return. I have to returns so my taxes paid is simply the sum of the taxes paid from each W-2. Well with Karma tax the resulting sum is $7 more than the actual sum. I also checked HR Block, Turbo Tax and TaxAct and they all give identical results and Karma tax is off by that $7. Is there any way to fix this error, and can I just modify my W-2 values to make the final refund value correct? I have found problems with the algorithms CK is using to calculate taxes. Second, I donated real estate with a value greater than $5000, yet CK recorded the information in Section A, Part 1 on form 8283. That section is entitles “Donated Property of $5,000 or Less . . . “‘ Not only is that the wrong section (greater than $5,000 donations belong in Section B), but donated property over $5,000 requires an appraisal AND a signature and EIN/TIN from the appraiser. Yet CK was prepared to allow me to efile without any of that information or the appraiser’s signature. Avoid at all cost. After going back and forth with a representative from Credit Karma named Laura about an issue on my return. She told me that the return they generate does not actually include 100% accurate information and that I should speak with a professional if I needed something fixed. Total nightmare. The incompetence was actually astounding. Thanks Laura. I filed my taxes last year with CreditKarma and all went well. This year I find a bug that I cannot get around. I contacted the help department and received a quick response but the response did not correct the problem. I’m going back to taxact this year. Thanks for sharing. What was the bug that you were having an issue with? This year Credit Karma’s tax software is relentlessly frustrating. When trying to enter W-2 information, once you enter the employer’s EIN, it demands the employee’s SSN (expected), and an “Import Code” (unexpected). First, not all W-2s are going to have an import code. Second, with no way to skip over the import code piece, it leaves customers with no other options. When you contact their tax support via chat, at least as was my experience, they tell you they’ll follow up with an email, but the follow-up never comes to fruition. I guess I need to stick with my tried and true TurboTax and quit looking for alternatives (especially now that TurboTax is free for Federal and State). Sigh. So far so good everything looks good and I was able to get through filing and waiting for IRS to receive my forms.If everything goes well I will be using this site next year.I didn’t experience any bugs. I will come back and make review if all goes well.The site was easy and fast and they answered any questions when I couldn’t find something. I used Credit Karma last year, experienced a few glitches and got very frustrated with the (lack of) customer service. In the end, it worked fine and I got my refund as quickly as I did with Turbo Tax. This year I don’t care for the format and had difficulty finding my 2016 return (which is easy to find once someone tells you how…), but entered everything anyway. Schedule D was tripping me up a bit, so I decided to try H&R Block. I didn’t like the price…(apparently I’m hard to please!). I put the numbers into both and got the exact same results. I’ve decided to give CK another try after all. I feel fairly comfortable doing my own taxes and mine are relatively simple, but if I had not done them myself in the past (or didn’t enjoy looking up the forms on the IRS website and reading them! ), I’m not sure I would recommend CK this year either. It skipped the 1099G for me (said it was uncommon!) and does not import any data from previous years. Customer service is still pretty lacking. While I was able to live-chat with 4 different people, I did get timed out twice while waiting for a reply and it took all 4 people to find one who knew the answer to my question (which was a simple “how do I find my 2016 return?”, from their own website, no less). My last comment is regarding Credit Karma themselves. There is NO feedback. They will send you a email link to ask if you were satisfied with your live-chat, but that is it. There is no contact for feedback otherwise and no way of knowing if they’ve ever read your comments or not. I would have expected that as a first-year user I would have received some sort of survey on how the software performed and what could be improved upon. I had quite a bit of feedback for them (good and critical) after filing last year, but they didn’t ask! Will update if there are more issues this year (when I’m finally brave enough to click “submit”!). I filed my taxes with Credit Karma on 1/18/18 and it is still saying not accepted by the IRS. How do I find out what is going on and whether or not the IRS has actually gotten my return? Well, today is the first day the IRS is accepting eFile. Typically these companies (Credit Karma included) will start submitting the returns they’ve received in batches. I’d wait a day or two and then try to check the refund status on Where’s My Refund. I filed the same day 1/18 still nothing other companies have been accepting for weeks Credit Karma is lying saying they have submitted them but they are really holding them until the exact date. Soooo misleading! STAY AWAY! You have been warned. I, too am waiting to be accepted hen my entire family’s taxes were done the same day. They had their tax returns accepted less that 24 hours. I filed on the 29th. Had to file virginia on the 31 when it became available. So the federal was resent on the 31st also. Still nothing. My son already received a message from HR Block that his refund had already processed and he would receive it by 02/06! Every state is different, and I believe that some states will not be supported by CK. So, if that’s the case, you’d need to look elsewhere. Yes I submitted on 01/28/18 the IRS hasn’t received anything from Credit Karma. Like others I suspect they are holding the returns. I would strongly advise not using them. I wish I had used anyone else! I filed with CK on the 29th – IRS was accepted within 24 hours, but still waiting on CA to be accepted. A friend did theirs with TurboTax and both were accepted within 24 hours. I wrote CK to see what’s up with the state return. I submitted my tax returns on the 29th originally. The Virginia taxes weren’t available for filing yet. Credit Karma didn’t allow me not to not file Federal yet. I had no choice. I submitted. When the Virginia forms became available on 1/31/18, I had to resubmit Federal. Now they both show submitted on 1/31/18. I have yet to receive anything saying IRS or VA has accepted my returns. I filed my son’s and my daughter’s returns using HR Block on the same day. Their returns were accepted the following morning. My son checked his IRS where’s my refund and they told him it would be deposited before 2/6/18. I wish I had never used Credit Karma. I am afraid that my info is lost in la la land. Same here, I filed on 1/19/18 with CK. Federal was accepted promptly on 1/19/18 and approved today 2/2/18. I should have my Federal refund by 2/9/18. However, My NC return has not been accepted yet. I contacted NCDOR who said their efile opened the same day as the IRS 1/29/18, and they have no record of my efile. If they have yet to be accepted than my tax paperer has not submitted them to NC yet and I should contact them. I have sent an email to CK to find out what is going on, but from what I’ve read here there CS is sub par. So I’m not too hopeful. My only other option is to wait 12 weeks and if NC has not accepted my efile at that time I can file a duplicate return with NC via snail mail. I think I’ll just use a paid reputable service next year. IRS has already been refunded (applied to past taxes). Still waiting on state to be accepted. CK stated that it was submitted, waiting on IRS approval.. it’s already said and done and California FTB site isn’t showing anything… I’m so frustrated as state is the only refund we get deposited. I found that when I did the CK tax program that it said I would get $3400 back – awesome. But I wanted to check TurboTax just to be sure since I wasn’t sure I trusted the amount from CK. And TurboTax show a refund of only $1077 – so now I’m very skeptical that CK is accurate and I guess I will have to go elsewhere – and probably pay to file. I finally got an email from CK that stated my State was accepted, but not showing on the CA state website (granted, they seem to post when all is said and done). I guess i’ll se in the coming days. I’m not filing with CK next year. I did last year, and seemed fine, this year too much delay! I feel confident filing my federal taxes due to my experience and knowledge but I don’t recommend this product to a typical person. If your dead set on using this you should complete the process on both credit karma and say – turbo tax -and see if there are differences. You really do have to hunt for pretty standard itemized deductions such as local and state income taxes paid. The state filing is pretty vanilla and doesn’t offer much flexibility. My state allows 529 contributions to be deducted but this software doesn’t even have a section that addresses it. 529 deductions aren’t deductible federally, so nothing would carry over like it does for other items. This is what I did, using H&R Block’s software to compare my results. They turned out the same, so I filed with CreditKarma for the second year in a row. I filed on 2/4 and had my federal return on 2/12. My state (MN) was not accepted until 2/16, and I received my refund on 2/20. Not sure why CreditKarma has such a delay on state returns, but it appears you still get your money back about as fast. I still would not recommend CreditKarma if you have a complicated return or do not want to spend extra time researching and hunting for the right forms. I used CK last year and got my refunds from both Federal and State in record time. This year is totally different. I filed on 2/5 and my Federal was accepted the following evening; however, my VA State has not been accepted. I also noticed my forms shows DO NOT FILE – WILL BE REJECTED across the State forms. I emailed CK support and am waiting to find out what is going on. I noticed they are not listed on the VA Taxation site as approved software which I didn’t check prior to filing because It worked fine last year. I will not use CK again. This is going to be a hassle. Anyone else have issues with locality names? I entered my locality name verbatim from my w2 and they won’t accept it. Contacted credit karma through live chat and they said I had to contact the irs. Contacted irs and they said it was credit karmas website having issues. This has been exhausting and am about to just go back to h&r. I found a serious flaw in Credit Karma’s tax software. I tried to tell get them to correct to no avail. Even gave them link to the appropriate instruction on IRS site and they could not follow the plain English The help support that finally contacted me could not understand the instruction and had no on to turn to that did. So they did not correct the obvious mistake. Can you share what the mistake is, or in what section? Last year I noticed a mistake in figuring my health care penalty for lack of coverage. They did not respond to my feedback. Despite the disappointment, I figured out how to calculate it myself and filed with CK. I also used it again this year, but only with running everything through H&R Block first (the numbers were the same). Will not use ever again! Okay. I’m having an issue. I filed with Credit Karma. They accepted. IRS accepted. But, the federal amount on Credit Karma is different than the federal amount on the IRS website..it’s not a small difference either…what’s happening?? Did you make some type of error? I did this a few years ago and the IRS corrected it, sent me the lower amount, and a letter explaining what I did wrong. Wait and see if you get a letter explaining any potential error or call the IRS. You could also be correct, but may need to show the IRS proof you are correct. Unlike most free tax preparation software, CK purports to support a long list of IRS forms. The problem is they don’t support some of these forms correctly. Last year, Credit Karma was prepared to file my return with a form 8283 (Noncash Charitable Contributions) that needed to be signed by an appraiser. It was, of course, not signed. I had to get the form signed and download the other forms and mail my return in. This year, CK entered on my Schedule A Itemized Deductions form a charitable donation amount that exceeded 50% of my AGI. This amount should have been adjusted to 50%, and the rest of the donation should have been carried over. Its menu says you can enter the sale of land in your Schedule D Capital Gains and Losses form, yet it provides no screens into which to enter that data. As Sal pointed out, the downloadable PDF version of forms does not reflect what they actually send to the IRS. You have no way of checking what it really sent to the IRS without seeing forms. I was, however, able to download the forms CK did generate without having hit Submit. Bad forms: It generated only one 8949 form when I needed 3 because of 3 different types of dispositions. The version of form 4562 it generates does not include the miles-driven information for a truck used on a farm. If they’re not going to process forms correctly, they should not claim to support them. I ended up doing my taxes manually and mailing them in. I used Credit Karma tax filing for the 2017 tax year & thought it was quite user friendly. I’ve been doing my taxes & other peoples taxes for decades, so I have a good working knowledge of tax preparation. My taxes are relatively simple. All my income is on a W2 & I have no itemized deductions. The end result matched my manual calculations. Unfortunately this product completely failed when I prepared an independent contractor’s taxes that involved 1099’s. Upon receiving a notice several weeks later from the State of Michigan stating there was money owed (original calculations showed no refund or tax due), I discovered a ton of errors on both the Federal & State calculations. After entering everything in TurboTax & getting completely different results, I immediately completed & filed amended returns by hand, which resulted in a large refund from both the Fed. & State. This experience left me very skeptical on using Credit Karma’s tax filing product again. Basically you’re forced to prepare the tax returns in a reliable program/product first to determine if Credit Karma’s product will perform the correct calculations. Way too much work. In this particular case, the original “bad” return was filed in early Feb. 2018 & the refunds from the amended returns weren’t received until mid-Aug.
With that said, using Credit Karma tax filing was not worth the headaches, time & energy of redoing multiple returns, not to mention the refunds being delayed by 6 months! Hey there! Sorry to hear of your experience with Credit Karma Tax- we try to make tax filing as easy as possible. As always, you can reference these articles to see what forms we do support for filing (https://bit.ly/2Iuarvr), and which ones we don’t (https://bit.ly/2Sy99TT). Thanks! Have a problem putting in Tax credits specific to Arizona State Taxes. Can not find anywhere to enter them. What are the tax credits you’re trying to enter? Credit for schools Spent $150 for daughters school field trip. no place to put it. Interesting, I would contact support because it’s not listed at something not supported. Hey there, Verlin! We agree with Robert- please contact us! From what you’ve said previously, you shouldn’t have any issue with inputting your school credits/expenses. Please reach out to us here: https://help.creditkarma.com/hc/en-us/requests/new. We’ll have our support team help you out ASAP! I just prepared my Michigan return using Credit Karma. However, there were errors on two lines on the MI-1040CR homestead property tax credit form. The percentages should have been 76% and 100% entered on the two lines, but the printed tax forms showed 1% and 1%. The software also added my health insurance premiums twice (from the federal return and from the state return) and entered the incorrect total on the health insurance line on Form 1040CR. So, after fixing the amount of insurance premiums, I printed out the return, wrote in the correct percentages on the two applicable lines, and mailed the return, instead of efiling. Form 8606 is not producing anything but a blank (other than name and ssn) document. The resulting return is incorrect and calculated refund is understated. This is due to non taxable portion of distribution not being calculated. A new basis (for use in next tax year) is also not calculated. Form 1040 Tax Return Line 4 a&b. IRA distributions are not included in Line 4a. Therefore, Line 4b, taxable amount is higher than the Line 4a amount. Be very careful when using this free product at this time. I have noticed the same problem. CK does have a place to enter information for IRA basis (that is, the portion in your IRA that is from nondeductible contributions), but the information just “dyes” there. CK does not enter this information in a mandatory form 8606 and does not calculate the correct taxable portion of your IRA distribution. The resulting final calculated tax can be hundreds (in my case) and thousands (in other cases) of dollars overestimation of the real tax! This is such a shocking fact that to say simply that CK makes mistakes is a gross understatement. CK for tax year 2018 is a DANGEROUSLY UNDERDEVELOPED PLATFORM. It also comes with a totally non-responsive and irresponsible customer service. I have contacted them 8 times (online is the only way), they confirmed my inquiries with generating 6 case-ticket numbers, and responded not even once to the warning alarms I sent. One is speechless when trying to comprehend how all this is possible? A tax preparation platform that cannot calculate correctly even rather trivial cases cannot be given accolades for being free. It is useless Russian roulette and should be avoided or used at one’s own risk. You’ll have to wait to file your state taxes, but you can still finish up your federal filing now.??? Do I need to wait or mail in my state taxes? Usually state and federal go together.. didn’t even let me enter information for state return. How long am I waiting? Why am I waiting? How do I get answers from ck? Can I pull return from them and file elsewhere? What you do is just wait. You can file your Federal and wait. But it will come online shortly and everything will be fine. 1. Uploading W-2 .pdf file gets uploaded, I don’t know where, but nothing happens to pre-fill the W-2 form from after the upload. 2. Form 8889 Health Savings Account (HSA’s) – on line 3, contribution amount, it pre-fills line with under 55 contribution limit of 6,900.00 for family. But my age is over that as entered in the profile. The limit for family +55 is 7,900 for 2018, so it incorrectly states I’ve exceeded the limit by 1k. 3. My state is not supported yet. Thanks for sharing. Just an FYI that about 15 states still aren’t ready to accept returns via tax software, that’s not just a Credit Karma Tax issue. 1. If you decide to auto-fill your W2 with a PDF, we’ll ask you to double check that we got everything correct, so click on your W2 packet to start! 2. That sounds like something our support team can handle! Would you be able to contact our Support Center? Thanks! For one specific situation to take note of that we don’t support- If a member is 55 or older with a family plan and not married, their contribution limit would just be $6900 and they would not be able to take the additional $1000. This may or may not be the exact situation, but we’d like to mention this just in case! Thanks again! I filed Federal and State of Michigan taxes via Credit Karma on 1/27/19 – on 1/28/19, the Federal was accepted and was deposited to my account today 2/5/19. I have yet to this date, received an acceptance from the State of Michigan – (still shows pending). I have contacted Credit Karma 2 times in regards to this – and the first reply was auto – generated “we will let you know when accepted”. I didn’t think my return was anything fancy – single lady with HSA and no dependents. I have not received a reply to my 2nd inquiry on 2/3/19 – stating that my State of Michigan still says Pending while I have a “Pending deposit” for Federal as of 2/5. I have asked others who filed via Turbo Tax and no issues with Michigan – accepted within hours??? Why is it still Pending 10 days later? Hey Mel! Unfortunately, once you submit and file your federal and state taxes, it’s up to the IRS and each, individual state Department of Treasury on when they’ll accept it. We can give you updates when it’ll be accepted, but typically, we see a longer wait for state tax returns at the very beginning of the tax filing period. So far not a great experience, even thought it’s free. First, the imported W2 incorrectly imported wages as tips, so it added a huge amount for unpaid SS/Medicare tax. I corrected the info, but it wouldn’t get rid of the “uncollected tax” form. So I had to delete ALL W2’s to get it to clear out. Then, the Dependent Care Credit is saying I get zero for the credit. That’s not correct. I’m eligible for 20% of the $3k as a credit, so that should be $600. Turbotax and HRblock agree that CK is wrong. I wanted a free way to get all my forms done, but so far this is not going to work. Hey Daniel! We’d definitely love to help answer your questions, but we’ll need our support team to look a little closer into your account and make sure that you’re getting all the correct deductions and numbers. While free, Credit Karma appears an underdeveloped platform with next-to-zero customer support. You can report a problem and an e-mail with a case-ticket will be returned to you promptly, but that’s it. Over the past several weeks I have collected 6 such case-tickets in an attempt to report a serious tax miscalculation. So far I have got no help, no response. For those that might be interested, Credit Karma miscalculates the tax liability when IRA distributions are reported. In such cases the system must take into account the IRA basis (which exists when non-deductible IRA contributions had been made in the past), must fill form 8606 and figure out what portion of the total IRA distribution is taxable. Credit Karma “does not know this” and adds the entire 100% IRA distribution as a taxable income. The over-calculated taxes in such cases can be hundreds and even thousands of dollars more. This is a shocking discovery and the full ignorance to the problem is equally puzzling. Other tax services, like H&R Block and TaxAct, were found free of this menace. Hopefully it covers everything you’ll need to know and how you can correctly input it into your Credit Karma Tax packet! Thanks! I need to file my 2017 taxes. Can I do thru CK ? I don’t see where u can choose the year 2017. Sorry, you can’t use CK to do past years returns. You can use other software, but you also might want to consider using a tax preparer. Credit Karma Tax is a disaster. Wouldn’t even let me input my 1099-DIV from Vanguard. Ug. Alternatively, you can go to our search bar and type in “1099-DIV” which should also take you to the right place! I am a bit concerned with my federal return. I received an email from Credit Karma stating that the IRS accepted my return, but when I put in my info (tripple checked to make sure it’s correct!) on the WHERE’S MY REFUND irs.gov website, it cant find it. The website said I’d have to wait 24 hours after getting an acceptance email. It’s been a week since ck sent me the acceptance email. This is the first year we’ve used CK for taxes. Credit Karma appears to have an error in 1099 DIV data entry. I have a 1099-DIV for a Cash Liquidation distribution, appearing in box 8. Credit Karmas boxes are off – they show box 9 for Cash Liquidation Distributions, the little info bubble states that as well. As far as I know, that should result in adding to taxable income – yet it does not reflect the amount I entered as such. Also, instructions and info for state return sorely lacking – for example, for entry of Michigan Use Tax – they dont describe if it is a tax amount or the transaction amounts etc. And a glitch in 1099-G. It will not add it to my taxable income, but I know it’s taxable. Customer Support took 2 weeks to reply, sent a couple of options to try, then quit responding when they apparently had nothing else to offer. I tried Credit Karma and was rolling along pretty well when it just locked up and became unresponsive. I couldn’t even get to the point where I could log out. I eventually just had to close the tab. Hopefully my data is secure and it logged me out due to inactivity. Disappointing. 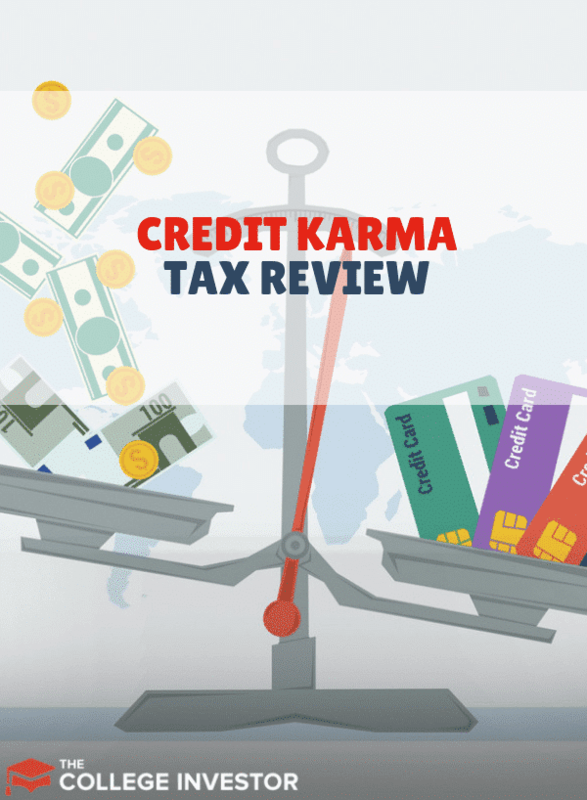 This tax year, 2019, is the second year I filed using Credit Karma (2017 was my first)–and both times my actual refund was more than fifty percent less than predicted by Credit Karma. I am wondering if this is unusual or whether I should be concerned/ file an amended return, if after checking with a CPA my concerns are confirmed valid. NOTE: I am self-employed, purchased a home in 2018, contributed the maximum to a traditional IRA, and qualified for several credits/deductions including student loan interest and mortgage interest. I don’t know what you mean when you say “actual refund” and “predicted by Credit Karma”. They don’t have a prediction – when you file your return you get an actual amount listed on your 1040. If you filed your return and got a different amount of a refund, the IRS sends you a letter explaining the difference. I have been using Credit Karma for my credit score and saw that they do tax filing so I gave it a try. I have been looking online to see if they are legit because on TurboTax it says that I am going to get less than $200 but CK says $7k… It isn’t a small difference so it got me wondering. I also checked the numbers and I haven’t made any mistake. The math of your tax return is always the same regardless of the program. However, the program may or may not guide you to everything you need to answer/input to be accurate if you don’t know what you’re looking for or don’t want to pay. If you’re not comfortable one way or another you may want to speak to a tax professional. This service is crap! I just tried to set up a new account to file state tax forms and the system kept giving me the same error over and over that I was not entering a 9-digit social security number. Believe me, I entered it correctly three times!! Then it says the system is not available and I should try back in 24 hours. Ridiculous! Credit Karma Tax is brilliant tax software! This was my first year using this software to file my personal tax return and it was great! It was so easy, yet very thorough and I feel like I got a fair and decent return! I highly recommend Credit Karma Tax, it’s truly free, all the way across the board and free e-filing right into your checking account. I am so impressed. This is the first time I haven’t used a CPA to file my taxes but I was tired of paying $300 a year for my taxes to be filed. I plan to use Credit Karma Tax from here on out, what a great service and I truly appreciate that it’s free. I am now recommending this service and Credit Karma to everyone! Thank you, Credit Karma!